[Widget_Twitter id=”1″]Jolla tablet with its independent open source sailfish operating system is likely to take the tablet world by storm. Developed by former Nokia software developers, Jolla tablet comes as Nokia announced that they are planning to enter the tablet market in order to win back their consumers. After Nokia sold its mobile phones business to Microsoft, the Nokia MeeGo software team left and established the Jolla company which even made its first Smartphone in 2013. By the second quarter of 2015, they will be launching their very own branded Jolla tablet using their Sailfish open source operating system created by MeeGo. Although Nokia had sold their entire phone and device business license to Microsoft, they have disclosed that they are currently developing a new Android tablet. Being an operating system company, they are creating this tablet as they are held responsible to their consumer’s needs and wants in a unit. 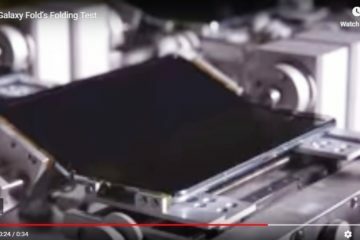 Jolla used a subcontractor for their top selling mobile and Smartphones, and will use the same process to produce the Jolla tablets which would probably be sold at $189. 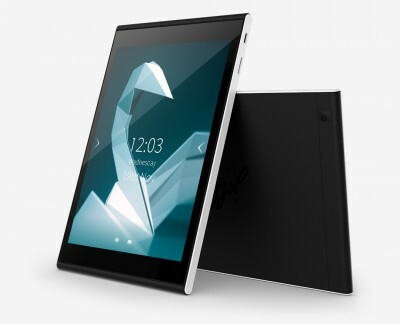 The Jolla tablet Sailfish OS is a unique, independent and highly mobile operating system, compatible with Android devices, meaning that gadgets using the Sailfish operating system are not limited to Sailfish apps only, but will also be compatible with Android apps. This only shows that Jolla is flexible and users can use other software regardless of the platform. With the new Sailfish open source operating system, you can customize it to your liking, and add other functions as you wish. Another advantage of the Sailfish OS is its high security features that ensure that your data is safe and secure. Talk about multitasking, the Jolla tablet Sailfish OS enables all apps to run in just a single viewpoint. You can easily switch between apps and see all the activity you are running. Plus, the OS is so easy to handle as you can play or change your music and pause or stop your live streaming movies without even opening the entire app in full view. You can also work your way through this Jolla Tablet in whatever way you wish or want. No need to push any buttons since everything is accessible through your fingers. When it comes to apps, as mentioned, it is so versatile that it will not only work with just the Sailfish apps, you can access Facebook, Instagram and Twitter. You can also download all the latest apps in the Jolla store and in other Android app store. Currently the Jolla tablet is widely available in the European Union as well for consumers in Norway, Switzerland, the U.S., China, Hongkong, India and Russia. To show how grateful the company is of surpassing the target crowd-funding mark, they have decided to reduce their Smartphone benchmark by €100 for consumers in the European country if they purchase it online. However the discounted price of €249 is only good for a limited time only. Its tablet is set for release sometime in the middle of next year according to the company. Further the Sailfish second generation operating system offers a better experience as Jolla wants to take the tablet world by storm and let the Jolla tablet make change the way people have been working with tablets.